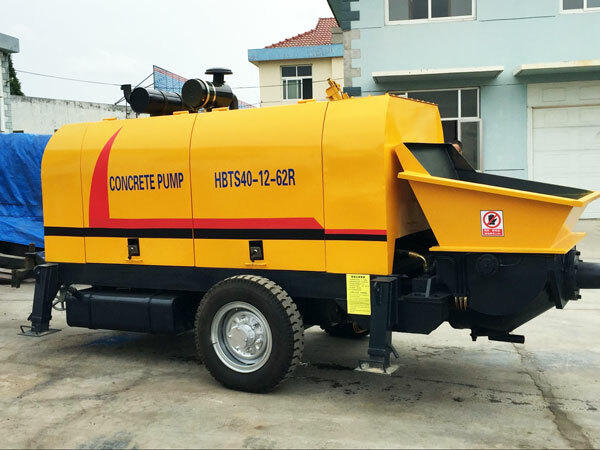 Concrete pump machine, an effective tool for pumping various concrete materials, is composed of pump and pipe. Under the influence of high pressure, concrete material can be pumped along the pipeline continuously. 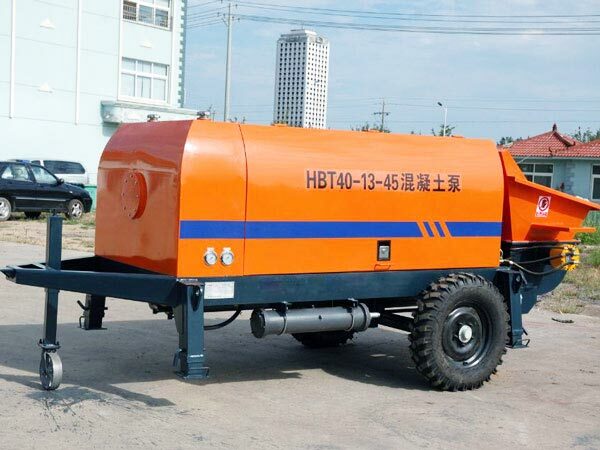 Here, I’d like to share some basic knowledge of pumping machine from such aspects: concrete pump models, construction of pumping systems, concrete pump working principles, manufacturers, etc. 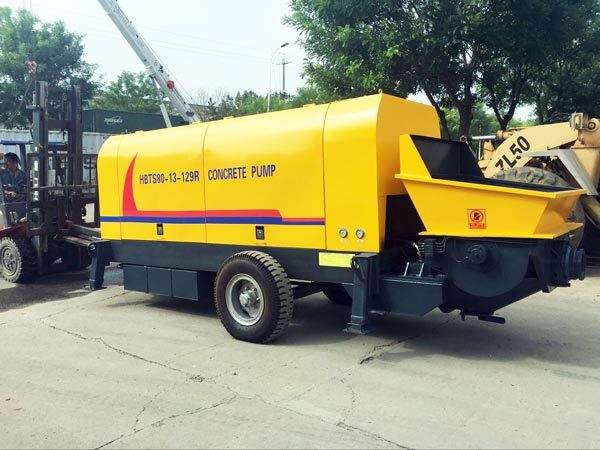 Generally speaking, concrete pump is divided into two types: diesel concrete pump and electric concrete pump. 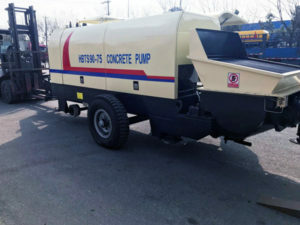 Our company can provide you different concrete pump models. 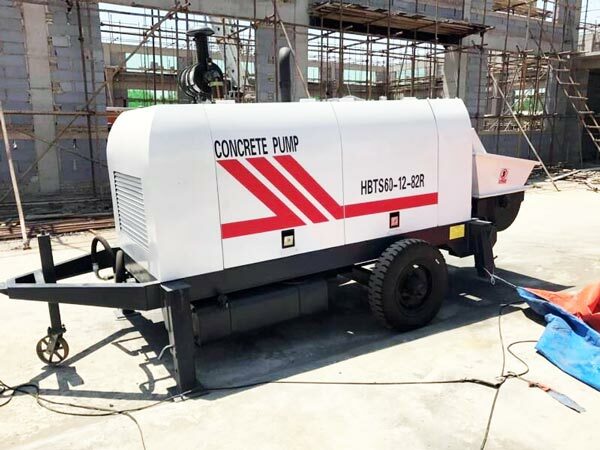 Diesel concrete pumps in our company are BS30-10-56R, HBTS40-10-82R, HBTS50-12-62R, HBTS60-13-129R, HBTS80-16-129R, HBTS90-18-176R and so on. 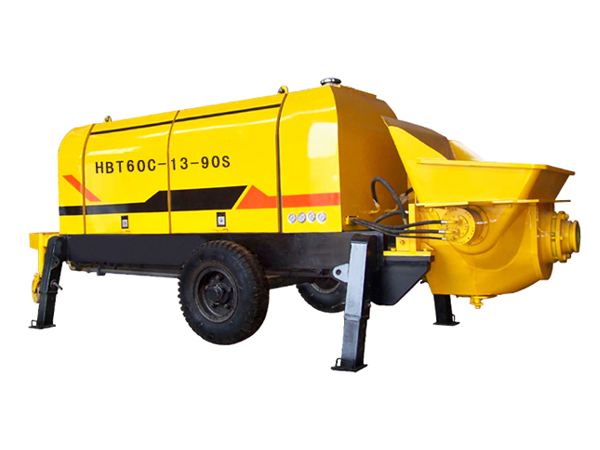 There are mainly five types of electric concrete pumps: BS30-10-37, HBTS40-13-45, HBTS50-12-75, HBTS60-13-90, HBTS80-16-110. 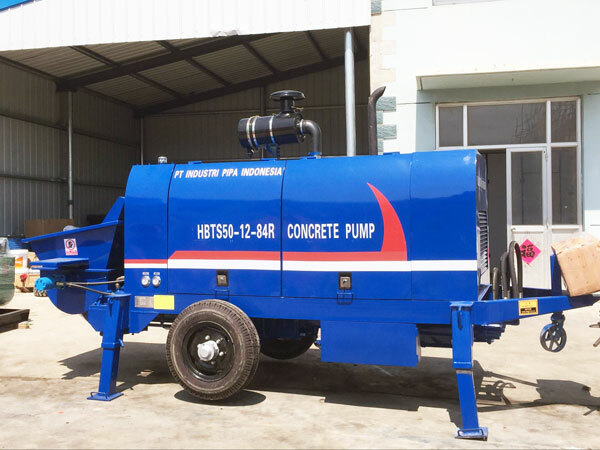 In order to understand concrete pump working principle, I’d like to introduce the construction of pumping system to you firstly. 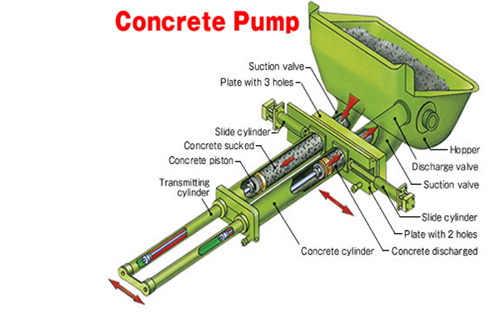 As pumping system is the main system for the process of pumping concrete. 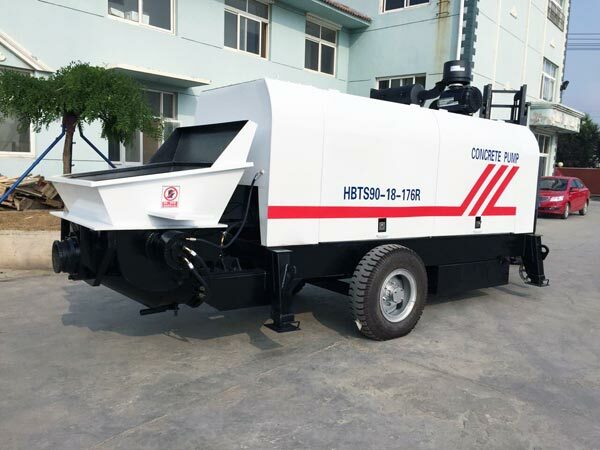 Concrete mixer pump maachine is also one kind of concrete pump machine. 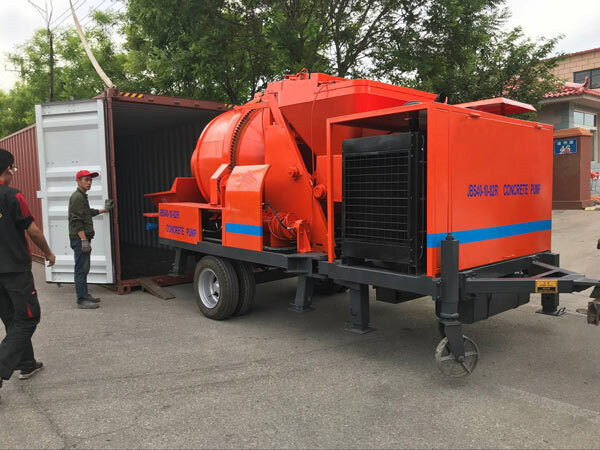 It is more advanced because of combination of concrete mixer and concrete pump, which can greatly improvee working efficiency and save a lot of cost, time and labour. Now in the market it is becoming more and more popular among customers. A lot of our old clients has purchased more than one set from us. We have embraced advanced manufacutring technology to make perfect equipment for our customers. We are confident that our product will never let you down. You can check it blow. 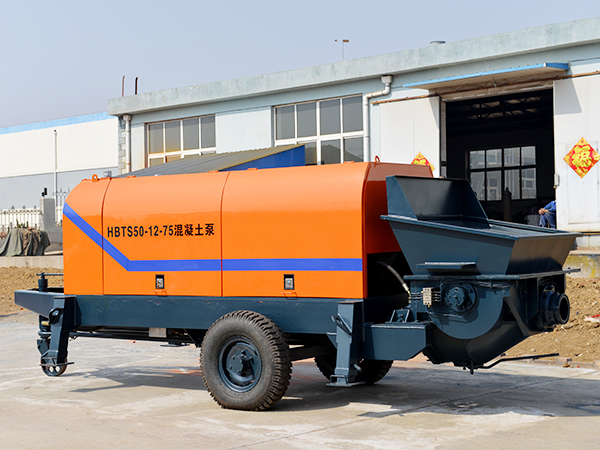 This system consists of the hopper, concrete conveying cylinder, main oil cylinder, etc. 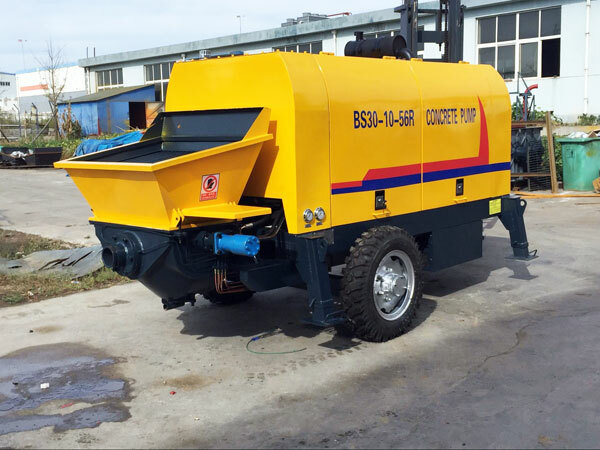 The hopper, welded by steel plates, is used for storing concrete to make sure the normal process of feeding. It is used for feeding. In addition, there is a S valve in it. The concrete conveying cylinder valve connects the hopper and water tank, in which there are two concrete pistons. The last part is main oil cylinder. It is plated with hard chromium on the surface in order to avoid rusting. 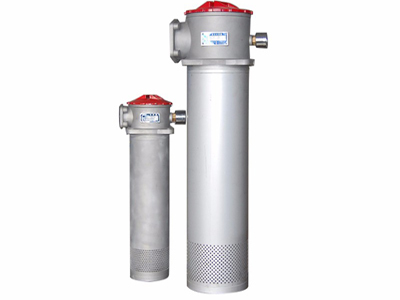 In order to maximize pumping efficiency, our company always adopts high-quality parts. 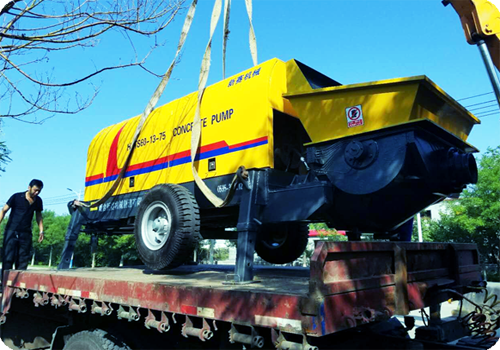 Pumping system has to endure a great impact when concrete pump starts working. So the parts have to be wear resistant. Take S valve as an example. 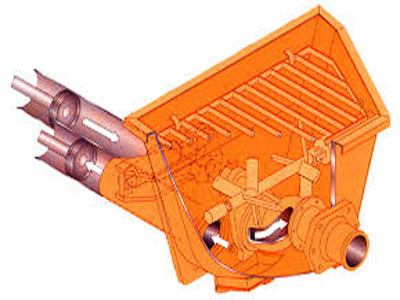 S valve is in the hopper, which can compensate wear clearance automatically and get a great sealing performance. It consists of wear plate and wear ring. They are made of hard alloy, thus the service life of wear plate and wear ring is extended. 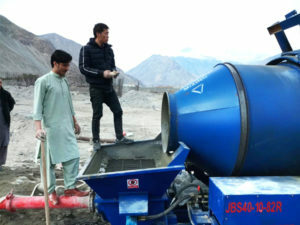 When the machine start to pumping concrete, the pumping system works in this way. 1. 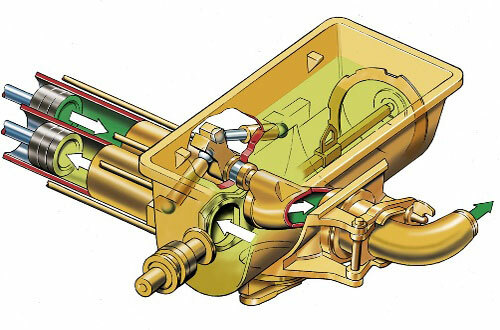 After pressure oil of the hydraulic system enters into the main cylinder, one piston rod is extended and the other piston rod is retracted. 2. 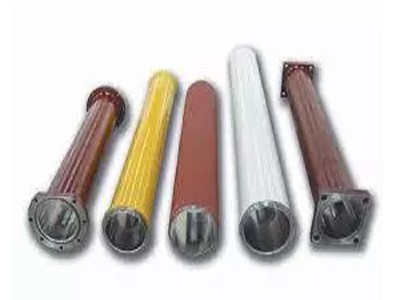 Then, the concrete conveying piston, which connects the main cylinder piston rod, starts self-absorbing in the conveying cylinder when it has to retract. 3. The concrete in the hopper is sucked into the conveying cyclider under the influence of atmospheric pressure and stirring blade. 4. At the same time, under the action of oil pressure, the other main cylinder promotes the piston rod out of the cylinder. Meanwhile, concrete piston pushes concrete out of this conveying cylinder. 5. After this action is completed, the system automatically changes the direction and makes pressure oil get into the other main cylinder. Later, it will complete another travel of sucking and pumping. In short, this a repeated process. Just in this way, concrete in the hopper is continuously sucked in and out of the conveying cyclinder and pumped to the operation point. 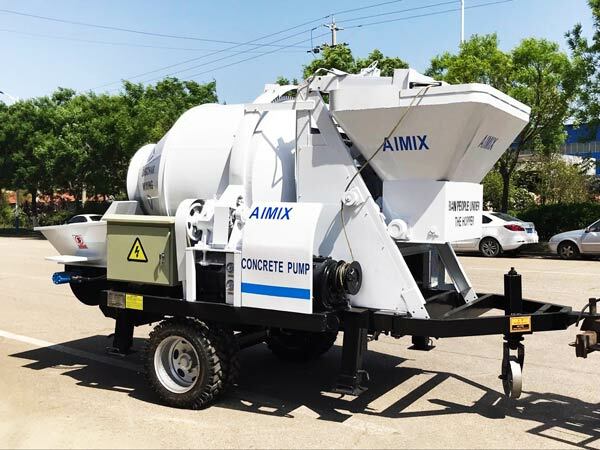 Among numerous suppliers, Aimix Group is an excellent choice. 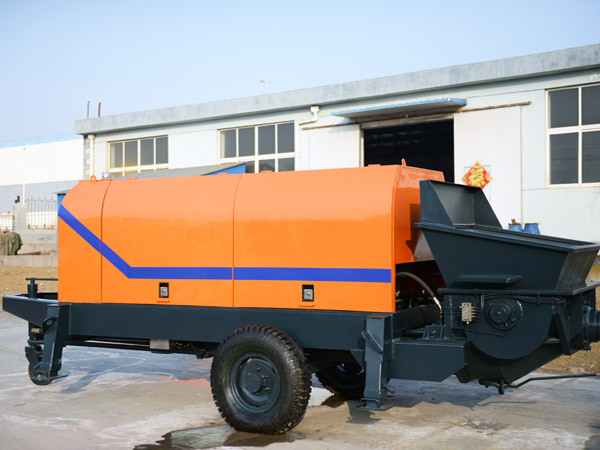 On one hand, we can provide you with excellent machine. And you can always get a reasonable and professional advices. 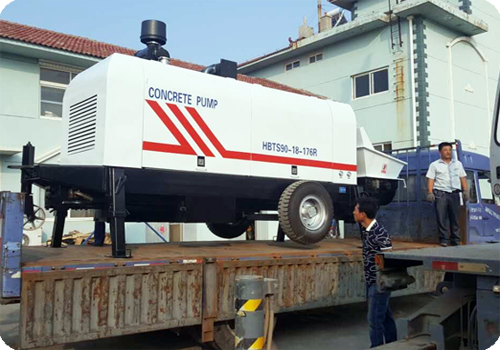 In addition, our pump for concrete has been exported to USA, Russia, New Zealand, Philippines, Guinea, Romania, Pakistan, Ukraine, Botswanna, Uzbekistan, Kyrgyzstan, Oman, Inner Mongolia, etc. 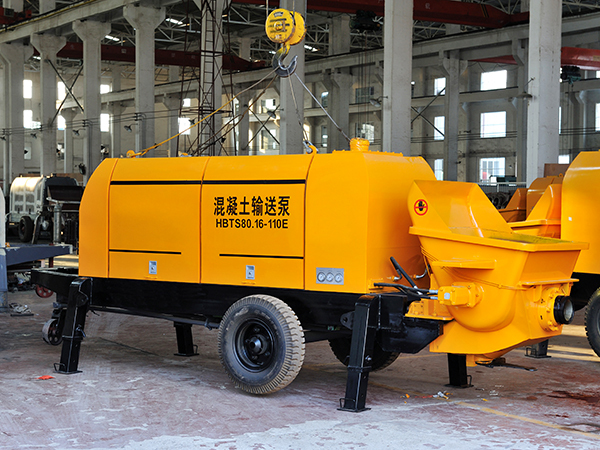 And the concrete pump machines are favored by various people all over the world. On the other hand, we can promise you timely delivery. Delivery date is very important to production plan. Cooperating with us makes your production plan go well on time. Last but not least, you can get perfect after-service from us. For example, we provide free training so that you can raise the operation proficiency. What’s more, we also have field service if you need. 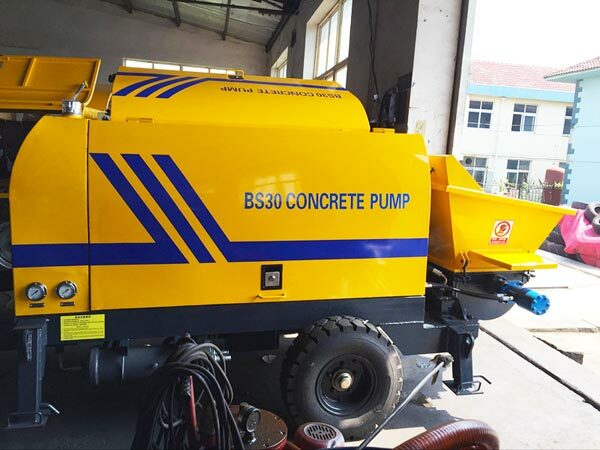 So if you are going to purchase concrete pumps, such as stationary concrete pump, welcome to contact us. It’s our pleasure to communicate with you.